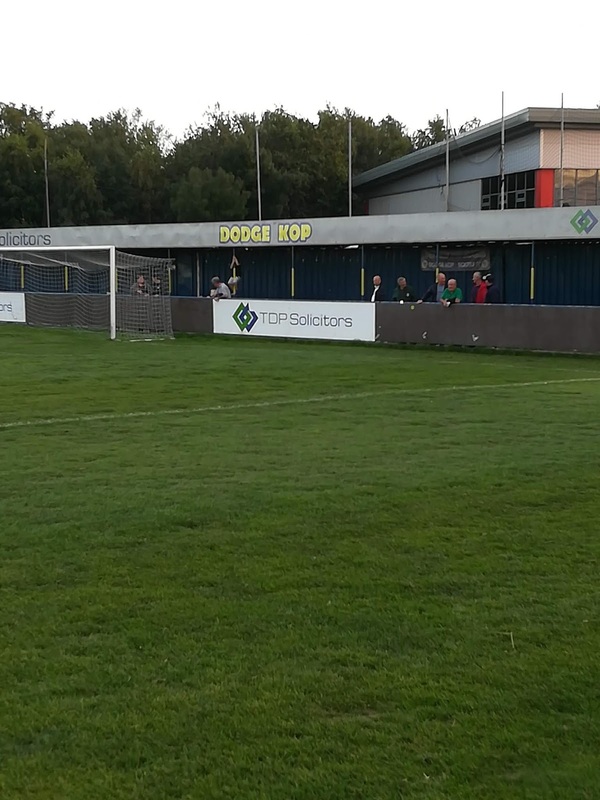 Following some half-hearted research (never been a strength if I’m honest), I noticed that North-West Counties Football League side Bootle FC were scheduled to be at home on the Tuesday evening that we were due to be in Liverpool. The name Bootle struck a chord with me immediately. Unless I’m much mistaken (and I could be as I haven’t bothered to research this fact – see, it’s not my thing) Bootle was where Liverpool FC legend Jamie Carragher was brought up. (Apologies if this is incorrect, I promise to start doing some proper research soon). Deciding this was good enough reason for a visit, I decided there and then that I would attend Bootle FC vs Charnock Richard. And so I did. Arriving at the ground just a few minutes before kick-off, having seemingly been held up at every single set of traffic lights in Liverpool – which is a lot – I was surprised by the sheer amount of cars parked on the roads and in the industrial estates nearby. There would be quite a big crown for the match by the look of it. Delighted to discover that there was no charge for children and a decent program (regular readers of the blog will know how much I value both of these things) I paid the £10 for me and the wife (cheaper than the £6 per adult I tend to encounter down in Sussex for games at the same level) and entered the TDP Solicitors Stadium. Just under a month into my groundhopper journey and I’m starting to spot a very clear trend for sponsored ground names. Obviously a key source of income for non-league teams. 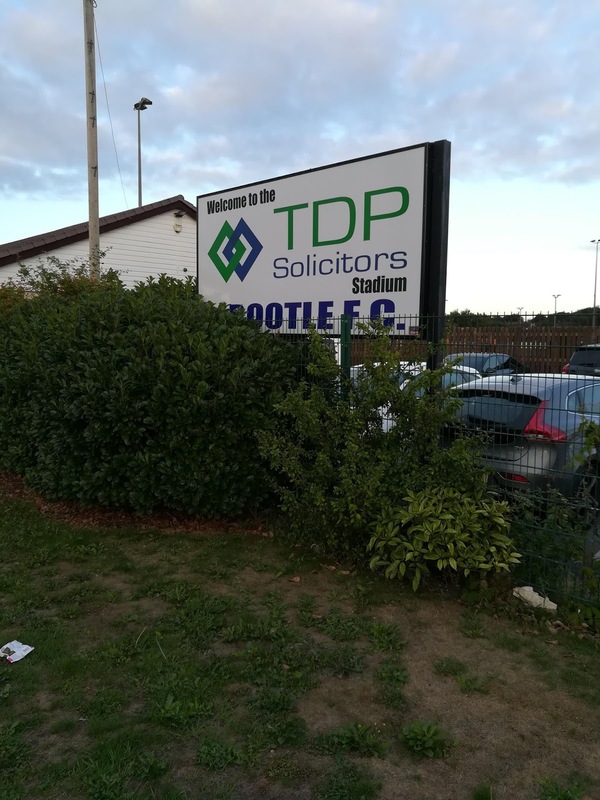 The TDP Solicitors Stadium consists of two covered seating areas behind the far goal and a covered terrace – the Dodge Kop – behind the near goal. Unfortunately for my wife and young children, who are used to sitting at football matches, there was no stand down the side of the pitch. 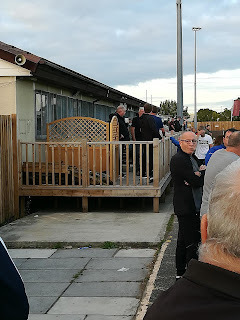 There was some raised decking with picnic benches which run the length of the very impressively sized clubhouse, but has already been noted, there was quite a crowd at the game, so no space there by the time we arrived. So standing it was. Which pleased me no end, as I actually prefer this. Unless it’s bucketing down with rain, of course, in which case I’m more than happy to seek refuge in a covered stand. Yet the sun was out so all was good. Yes, I know, I’m fair-weather. I’ve no idea how well Bootle are supported so this seemingly sizable crowd could in fact be the norm. 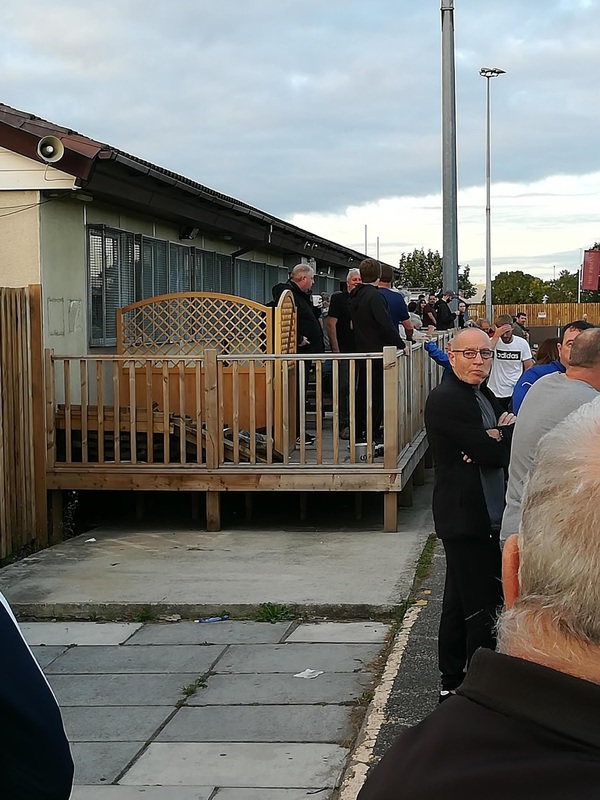 Or it could be that many people had turned up to pay respects to the club’s long-term tea lady Ann Taylor who had transpired has recently passed away. A moving tribute was paid to Ann before kick-off and a minute’s applause preceded the game. Judging the gusto of the applause it’s fair to say that Ann will be sorely missed. So to the game itself. In the early stages, neither side was able to seize control. Half-chances were swapped by both sides, but all-in-all the game was evenly contested. (See videos to watch a couple of chances from the match - didn't get any goals today. Sorry). On around the 15-minute mark, the visitors started to gain the upper hand, and soon after Joseph Noblet fired them ahead from just inside the area. This lifted Charnock, and for the next five minutes or so, they seemed to have an extra spring in their step. At this point it wouldn’t have come as a surprise if they had doubled their lead. They didn’t. It was the home-side who notched the next goal, with Carl Peers’ effort from the edge of the area squirming past the outstretched grip of the Charnock ‘keeper. It was now Bootle who assumed control and when the referee blew for half-time some 10 minutes or so later, it was Charnock who would have certainly been more relieved to hear it. The second-half started as the first had ended, with Bootle on the front foot. They took the lead around ten minutes into the half, when good work from Elliot Nevitt (my man of the match) on the left wing ended up with the ball being played into Anthony Hickey who put the Bucks 2-1 up. Still Bootle attacked and when Stephen Milne put them 3-1 up with 20 minutes to play, the score-line was a fair reflection of the match to this point. 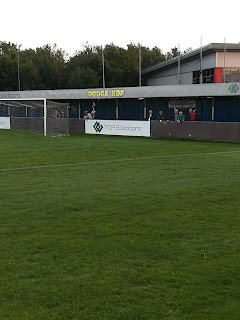 Charnock Richard did come back into the game in the last 20 minutes, but despite a fair bit of pressure were unable to create too many clear-cut opportunities. For their part, Bootle looked like they could threaten on the break. It ended 3-1, and was undoubtedly an entertaining game. Even my wife must have thought so. She’s even suggested that if we get caught in bad traffic on the way back to Sussex this afternoon, maybe we could pop to a game tonight if there’s one near to where we happen to be. I’m sure this interest won’t last too long. With autumn and winter approaching there’s no way she’ll be making such suggestions when it’s cold and wet. She’s even more fair-weather than I am! Glad you enjoyed your trip with the family to Vesty Road to Watch Bootle F.C. Visitors are always welcomed in the club house and there's a great bond fans & volunteers & players alike. You can get weekly updates on us by following @BootleFCBucks or catch the goals with Charlie @anckow. Thanks Charlie, it was a really enjoyable visit. Will certainly be following you on Twitter and staying in touch with your results. Good luck for the season.